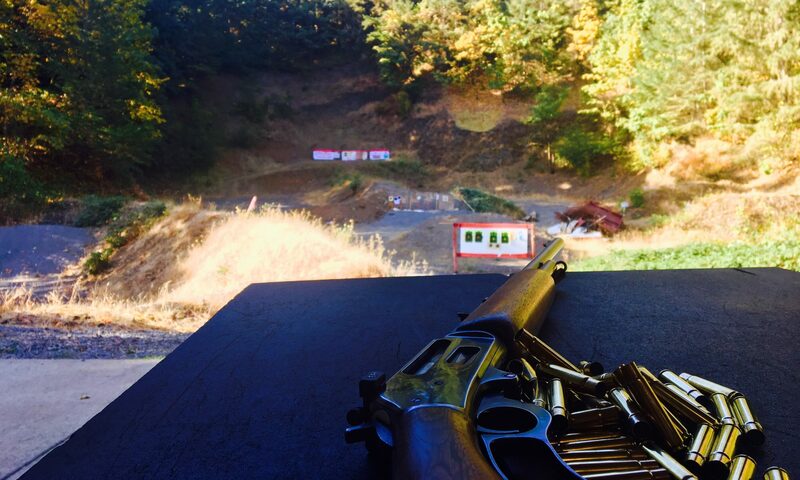 What’s going on with gun bills in the Oregon State Legislature? We have two bad gun bills that need our action starting on Monday, Feb 1st! The first one is SB 1551. It is a bad “mental health” bill that automatically suspends for 30 days at a time, the right to purchase a gun when someone reports you as having a “mental health emergency” to an anonymous tip line, saying you are a danger to yourself or others. You have no due process, and no effort is made to see if you are having a real emergency and to reach out to help you either! It is wide open for abuse, is infinitely renewable, and the burden of proof is on you if you want to get your rights back. The other bad gun bill on the House side is, HB 4147. This bill allows the Oregon State Police to choose to not respond indefinitely to a background records request and requires a gun seller to deny you the purchase of a firearm during that time. Which could be literally forever! They are both bad bills, poorly written and likely unconstitutional. Both of them! I’m hearing that what’s really needed the most is to flood the phone lines of the Democratic legislators who can act on these bills STARTING THIS MONDAY, Feb 1st. That’s when the session starts and we don’t want to lose steam, so starting Monday and keeping the pressure ON, especially the first few days and first week is KEY. The Democratic legislators you should call and email include, on the Senate side, regarding SB 1551, Senate President Sen. Peter Courtney, and Democratic Senate Judiciary Members, Sen. Floyd Prozanski, Sen. Sara Gelser and Sen. Diane Rosenbaum. On the House side, regarding HB 4147, you should call and email House Speaker Rep. Tina Kotek, House Majority Leader Rep. Jennifer Williamson, Dem House Judiciary Members, Rep. Jeff Barker, Rep. Brent Barton, Rep. Mitch Greenlick, Rep. Ann Lininger, and Rep. Jessica Vega Pederson. But our real effectiveness starts on Monday when we should be flooding the phone lines the first day of the session of the Democratic legislators linked above. That’s the real power we have this session. Glock Talk on February 17th! Dave Mallery from Glock USA will be speaking at the next club meeting on Wednesday February 17th at 6:30pm at the Newberg Public Safety Building. He’ll be talking about the entire Glock product line, changes, things in the works, and answer any questions you have about Glock. Hope to see you there! Please sign up for the 2016 Friends of the NRA Banquet. It’s on Saturday February 20th. Come enjoy a good dinner and a fun evening with like-minded firearms folks. It’s an important time to support the NRA and the banquet is a fun way to do that.